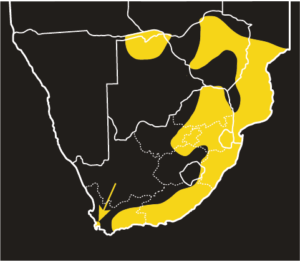 Map indicating the distribution of the Rhombic Night Adder (Causus rhombeatus), within Southern Africa. 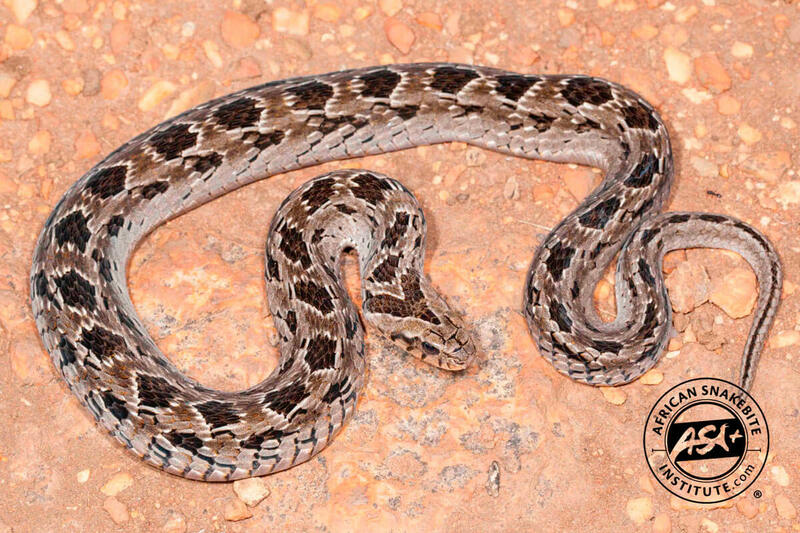 Despite the common name, the Night Adder is more active during the day. 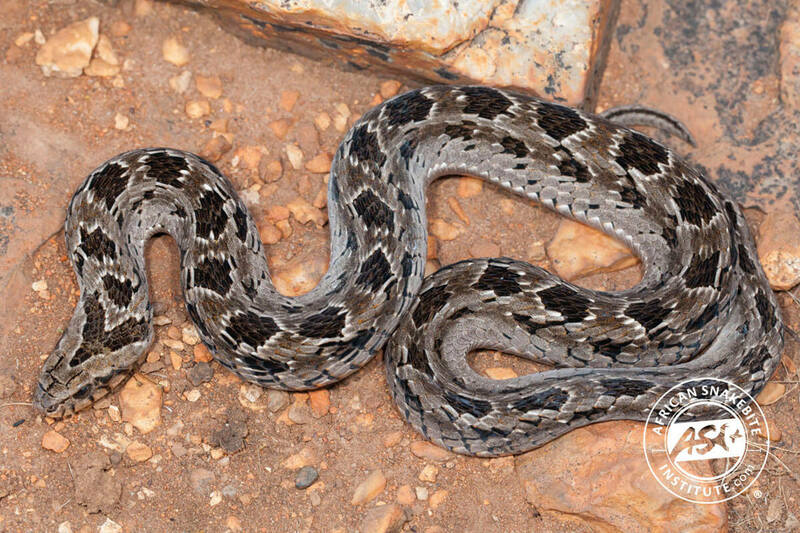 It averages 30 – 60 cm in length, but can reach 1 m. It can be identified by the distinct dark V-marking on the head. 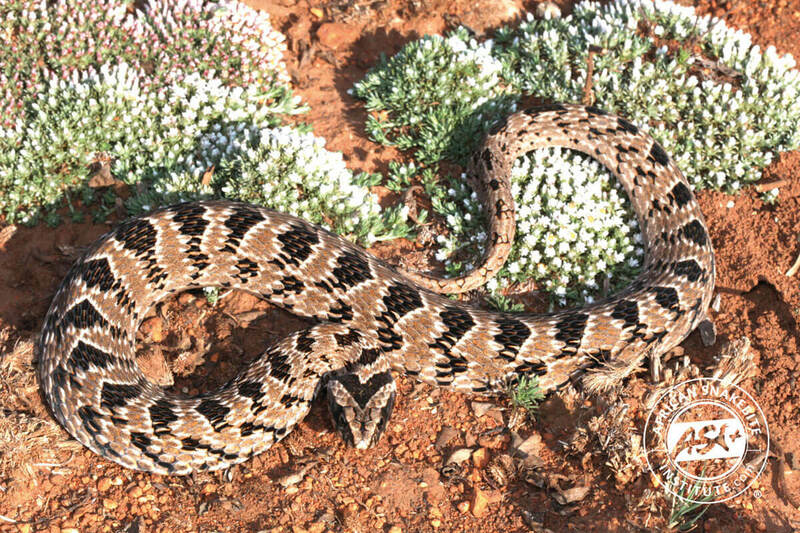 The Night Adder favours the wetter eastern half of South Africa and occurs right down to Cape Town. 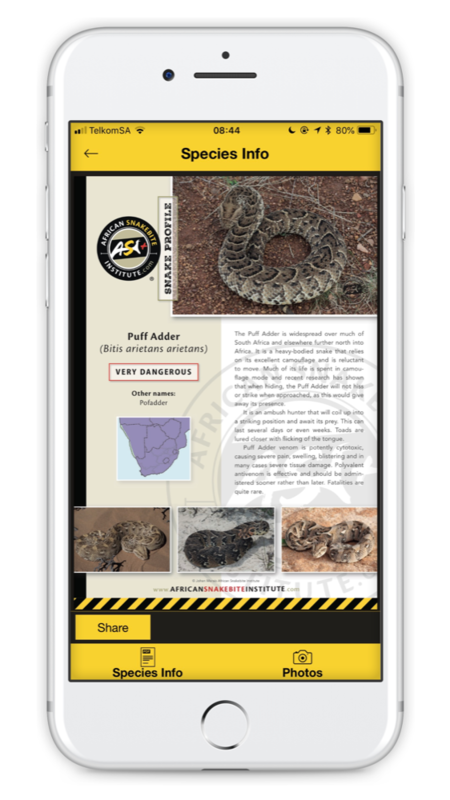 It prefers damp localities and is a frog specialist. 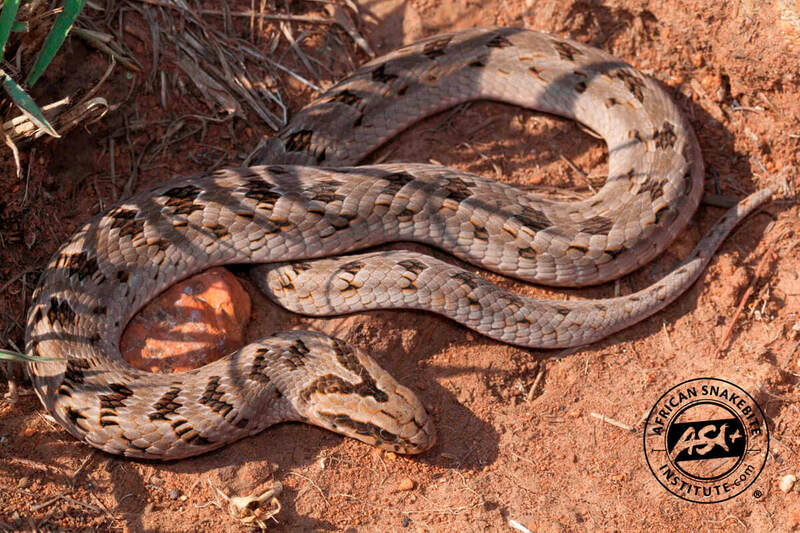 The Night Adder is generally a docile snake but will hiss aggressively and strike when provoked. 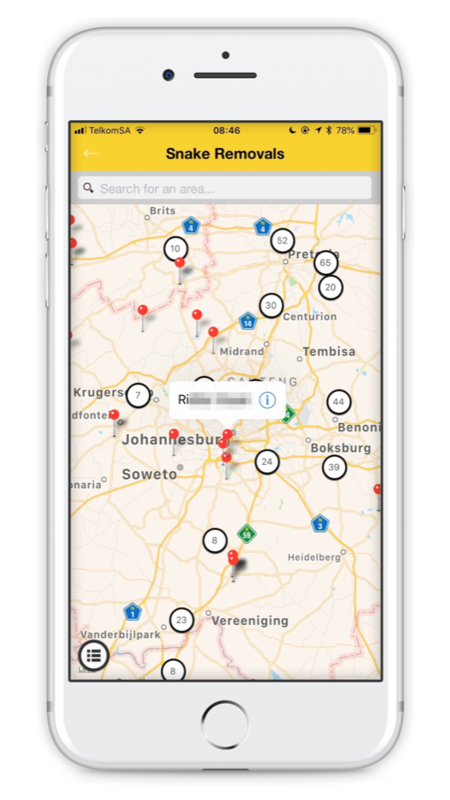 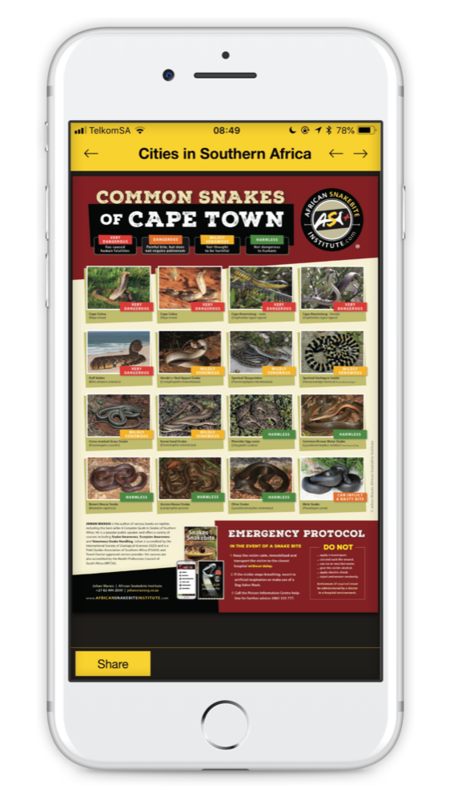 It accounts for many bites, especially in KZN and the Eastern Cape. 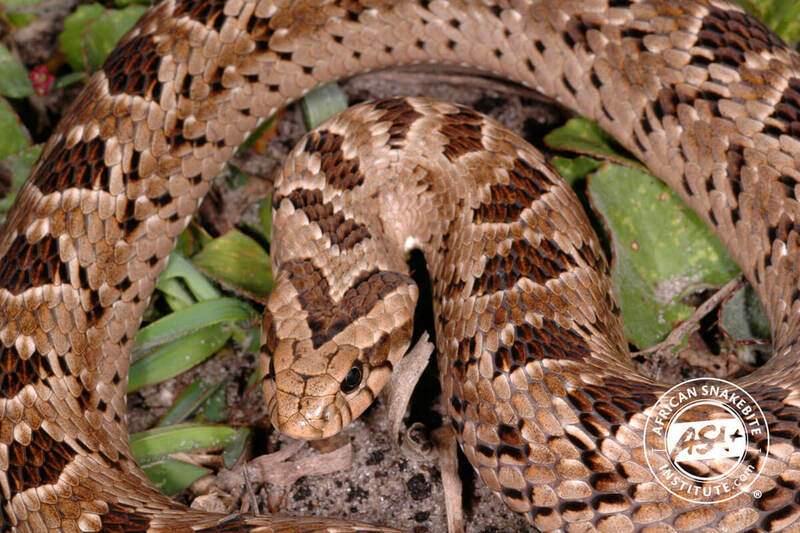 It is commonly found in suburban gardens. 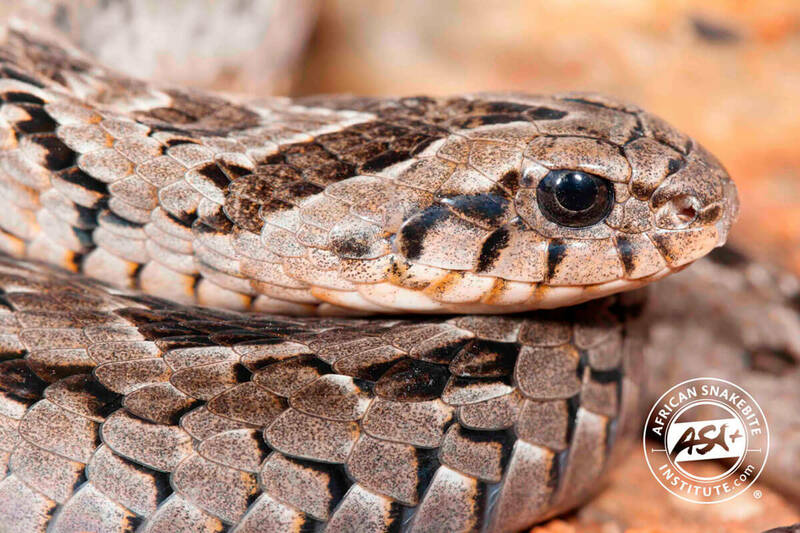 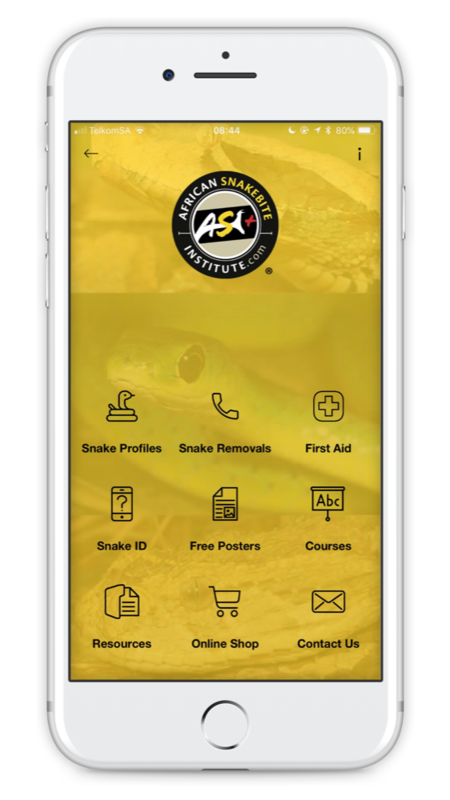 Night Adder venom is cytotoxic and most bites are not serious – causing pain and swelling. 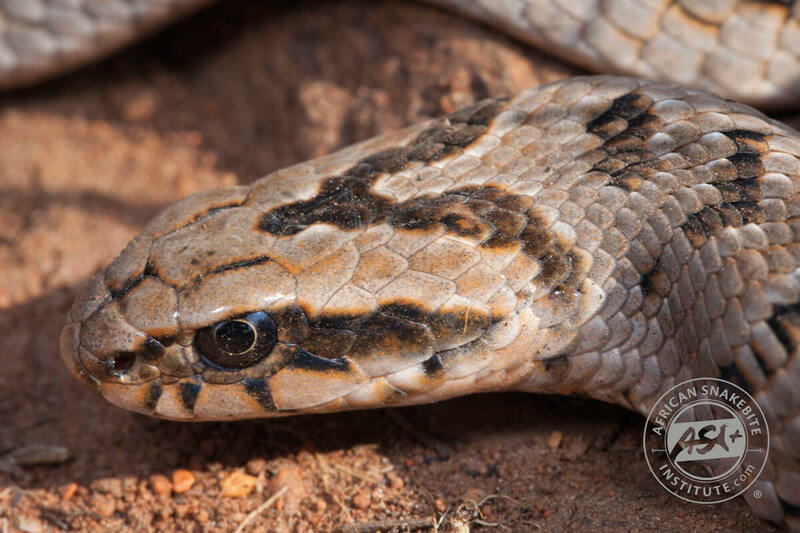 Having said that, the venom of this snake should never be underestimated, especially in children, as some victims require hospitalisation. 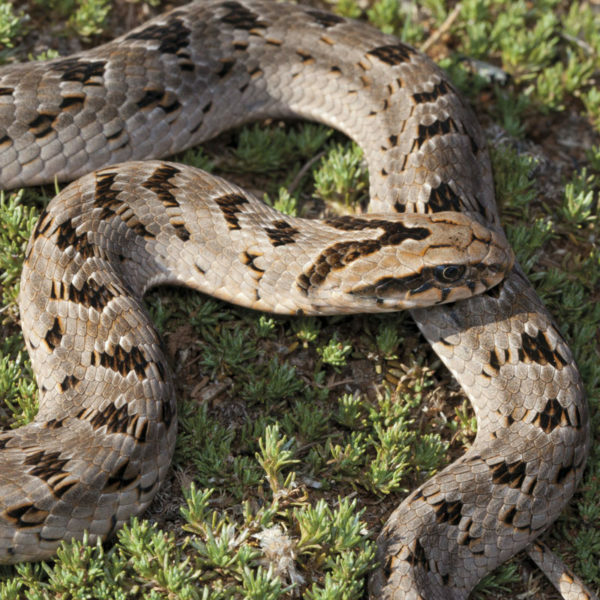 Dogs are often bitten and small dogs may die from a bite. 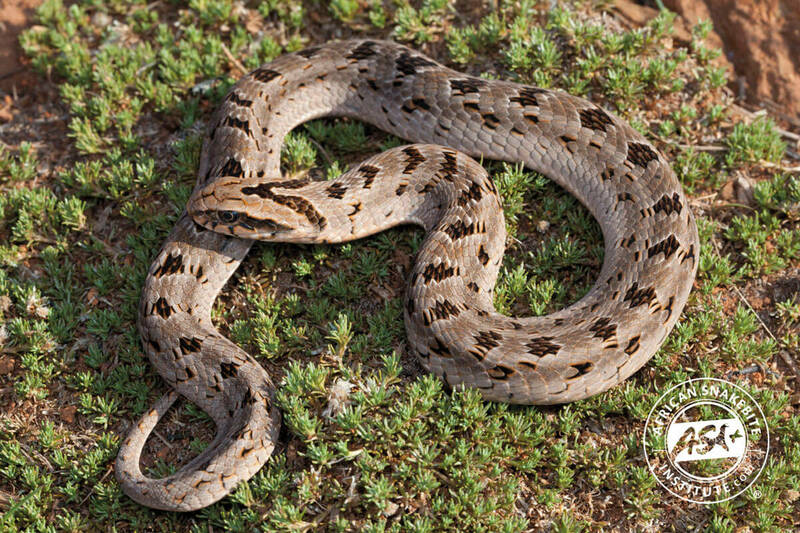 (Causus rhombeatus). 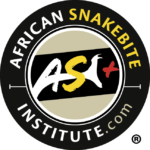 Photo by Graham Alexander.